Being charged with a criminal offense can be a terrifying experience, especially for first offenders. 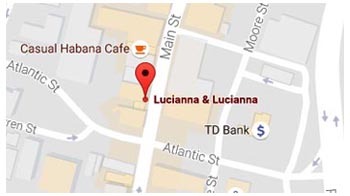 Here at Lucianna & Lucianna, P.A., we can help alleviate the stress by thoroughly and honestly explaining your charges, the potential consequences of a conviction, the legal issues with the charges/arrest and the legal action that needs to be taken on your behalf. While we will never guarantee an outcome in any matter, as no honest Attorney could, we can assure you that our knowledge, experience and desire to fight on behalf of our clients are second to none. Whether you or a loved one is charged with a 1st Degree Felony or a Disorderly Persons Offense, we treat each case with equal severity. Please contact us for a free consultation. If you have a loved one in the jail please contact us immediately and we will make arrangements to see them.